Duffy says that McGregor is more than capable of causing an upset against the unbeaten boxer, who is widely regarded as one of the best in the world. Mayweather is unbeaten in 49 fights. He has always been viewed as the complete package, as he is capable of mixing it as per the demands of the situation. Duffy took a similar path as McGregor by making the switch from MMA to boxing. Even though he spent only seven fights in the boxing ring, he has witnessed the weaknesses that boxers have when they come up against UFC fighters. The 29-year-old claims that McGregor has all the qualities to cause Mayweather enough problems on a physical level. The key difference, however, lies in training, as the unorthodox style of McGregor can allow him to prepare in any style. At the same time, Mayweather would be at the dark when it comes to his opponent’s tactics. 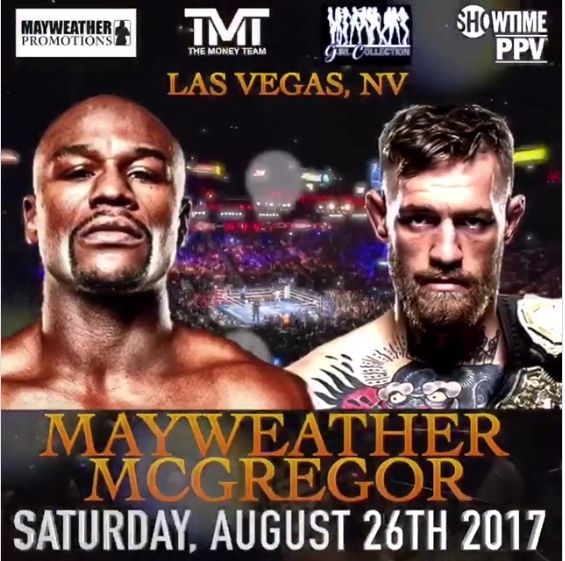 Even then, bookmakers are overwhelmingly in favour of a win for Mayweather – even in terms of the latest Mayweather v McGregor enhanced odds. The American is rated at 1/5 for a win, while the UFC fighter from Ireland is at 5/1 for success. It is unlikely to find a value in these odds, especially as Mayweather appears to be favourite for success. However, Duffy does expect McGregor to pose some challenges and even win the fight depending on the start that he makes. As a professional boxer, Mayweather has the ability to stand through the full complement of rounds unlike McGregor. If McGregor makes a good start and seizes an advantage before the fourth round, there is a great chance of success. At the same time, Duffy says that Mayweather will grow in strength if the fight goes beyond four rounds. The element of uncertainty within McGregor can prove to be the decisive factor in this fight.